An unbroken ice sheet more than half the size of Europe already stretches from the Canadian islands to Russia’s northern shores. “In reply to your enquiry, the Telegraph’s policy is to correct clear inaccuracies once we are alerted to them – and in appropriate cases update articles on our website”. This is yet another alert for you Robert. There was no “reputable evidence… to show an unbroken ice sheet more than half the size of Europe already stretches from the Canadian Islands to Russia’s northern shore” on September 8th 2013. This video discusses a variety of sources of both reputable and disreputable evidence! Santa’s Secret Summer Swim – Amongst other things an animation revealing how the Arctic sea ice concentration and extent changed between September 13th and September 27th 2013. The 2013 NSIDC minimum extent of 5.099 million km² occurred on September 13th. Notice the “Polar Polynya” conspicuous only by its absence from the graphics accompanying the article by David Rose published in the Mail on Sunday on that date. Notice also the wide band of blue ocean between the ice edge and “Russia’s northern shores”. Image courtesy NASA Worldview from the Aqua satellite. Image courtesy of NASA Worldview from from the Aqua satellite. 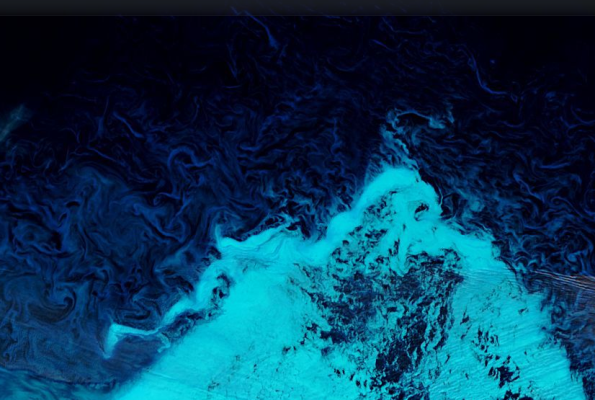 The “Polar Polynya” Reappears! 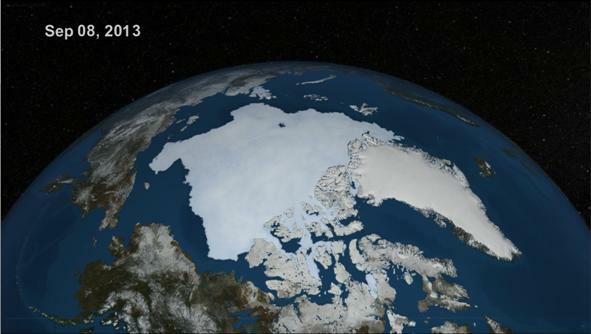 – An animation revealing how the Arctic sea ice changed between September 1st and September 18th 2013. The (preliminary) 2013 NSIDC minimum extent of 5.099 million km² occurred on September 13th. By September 18th the “Polar Polynya” appears to be reopening, and moving ever closer to the North Pole. 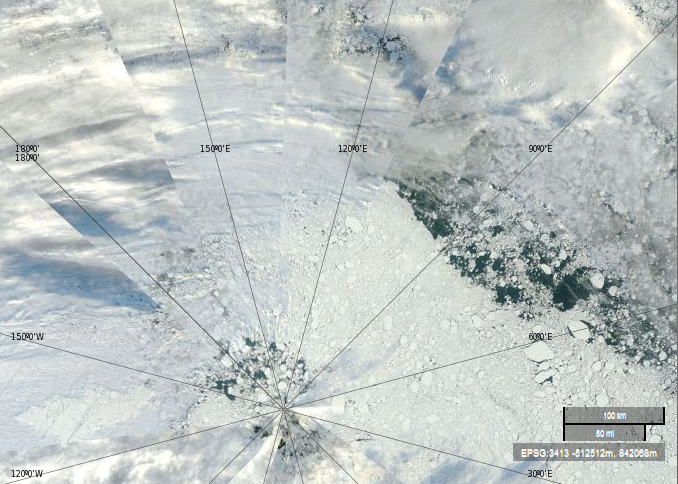 As you can see, the sea ice in the Arctic has many holes and cracks in it, and lots of open water around it. It is not therefore an “unbroken sheet that already stretches from the Canadian islands to Russia’s northern shores”, as maintained by David Rose in the Mail on Sunday edition of September 8th. An Unbroken Ice Sheet? – An animation revealing how the Arctic sea ice changed between August 15th and September 13th 2013, the date of the preliminary 2013 NSIDC minimum extent at 5.099 million km², 49% above the record 2012 minimum of 3.41 million km². 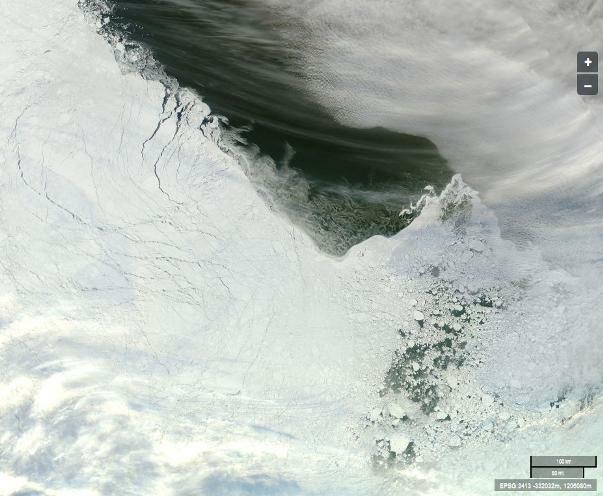 As you can see, the sea ice in the Arctic has many holes and cracks in it, and lots of open water around it. It is not therefore an “unbroken sheet that already stretches from the Canadian islands to Russia’s northern shores”, as maintained by David Rose in the Mail on Sunday September 8th 2013 edition . However, if you were to update the graphic showing extent of ice, would it be possible to provide more geographical indications, for those of us who are not used to seeing the world from the poles. Thanks, and appreciate your work. Thanks for your comment and your kind words. I take your point, and I’ll give it some thought. Hopefully the location of the North Pole is obvious at least! If you zoom in on the summer ice not much land is visible at all. Zoom back out a bit, and a load of legible labels might easily obscure the information of interest. Some of the products use a “Greenwich down” orientation, but the ones we’ve displayed so far all use “Greenland down”. That means Canada and Alaska are to the the left, the Bering Strait is in the top left corner, Russia’s at the top, and Svalbard and the Fram Strait are in the bottom right corner. The main point to note is that if you look at visualisations of ice concentration, rather than ice extent, you see a very different picture. Thank you for taking the time to expose the media distortions and (lets’s be frank) outright lies.